It seems as though hardly a day goes by without someone on the chat forums talking about the Beeman R9/R9 Elite. 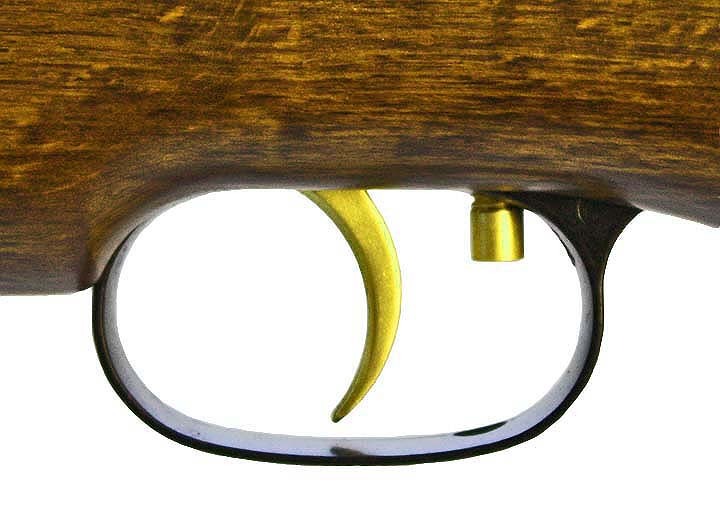 Due to it's quality, performance and reasonable price point, it has become a big favorite in the airgun world. There isn't much I can add to what everyone already knows. It has the great Rekord trigger with plenty of velocity, power and accuracy. So how does it really perform when shooting all the different pellets? Quite respectably, actually. The R9 doesn't quite have the velocity of the R1 or RX-2 in .177, but it sure isn't too far off their mark. For those higher velocity results you'll have to pay a few more dollars. But I think you'll like the R9 test results, so read on and enjoy. This rifle could be viewed as a great all around shooter for the shooter watching his pocketbook. The R9 has ample power and accuracy for most of the shooting you will be doing. 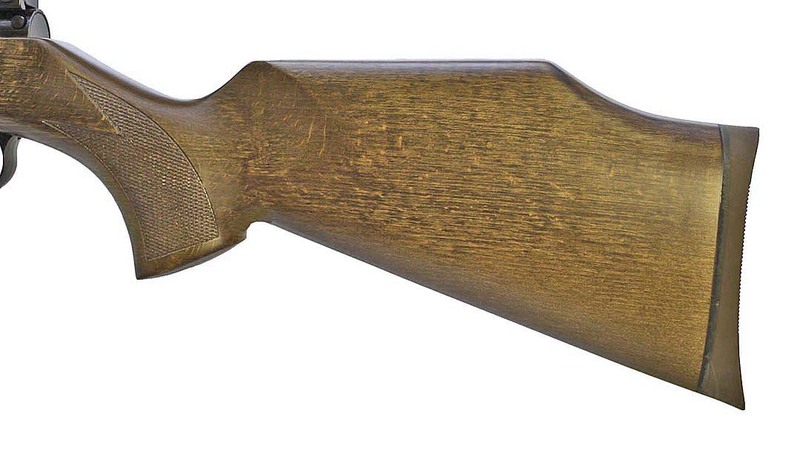 Of the guns we have tested, the R9 is comparable with the power of the Beeman HW97, HW77 and RWS Model 36 in power. What can you expect from your R9? Many guns on the internet are talked up as being the greatest thing since sliced bread and the R9 is no exception. This rifle has received so much print space that a person would think it was magnum powered with match grade accuracy and a high quality furniture finish. We wanted to see just what a new buyer could expect from the R9 in brand new, stock configuration. We inspected and tested many R9's in both .177 and .20 caliber and inspected each gun for quality of bluing, wood finish, barrel droop and barrel cleanliness. The old saw about "getting what you pay for" is also true of the R9's. 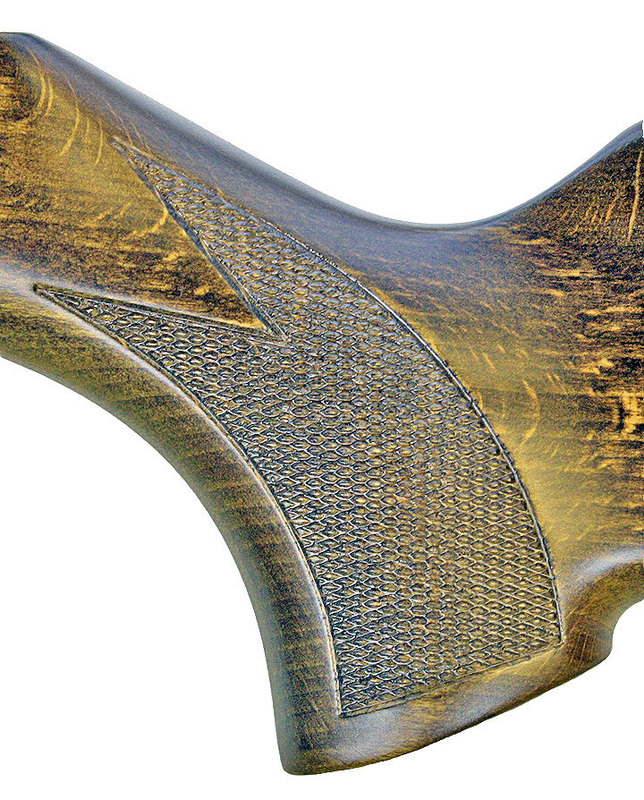 The standard model is a very decent quality gun with stain that is generally light to medium brown in color. Because the wood is beech, the stain can have irregular patterns and even some light areas on the stock. Primarily, this has to do with the density of the wood as opposed to the quality of the finish. Sometimes stain does not penetrate beech wood deeply in spots, which can leave a slightly lighter finish on some spots. We found this air rifle to be one of the most moderately priced adult airguns available. The R9 will give you a great introduction into the world of adult airgunning. If you are looking for a single rifle that can do it all for you, the R9 would be a good selection. If you are an experienced shooter or more concerned about high quality finish and smoothness, consider jumping to the HW97, HW77, R1 or RX-2. Bottom line? Everyone seems to be very happy with their R9 and it has introduced many shooters into the adult airgunning world. You just can't go wrong by purchasing an R9.